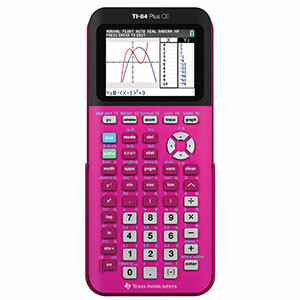 The TI-84 Plus CE has six times the memory of the TI-84 Plus so students can store vivid, full-color graphs, images and data. The lightweight yet durable design also makes the graphing calculator easier to carry to and from school and activities for today's on-the-go students. Also has a rechargeable wireless battery and is 30% lighter than the previous TI-84 Plus models.